Hey Guys, its Jeff with rampmetrics, I hope you had a great summer and are still soaking up the last few rays of summer fun. Over the summer, I visited my sister Sara in Waco, Texas. 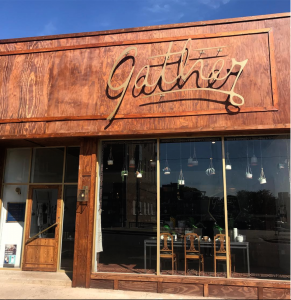 Waco is home of Fixer Upper, Vitek’s BBQ, Milos All Day and my sister’s new really cool store named Gather. 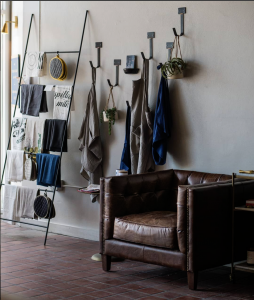 As a card carrying Marketer, I asked Sara how she does her Marketing and her response was “we mainly use Instagram and some Facebook” but its mostly about Instagram. 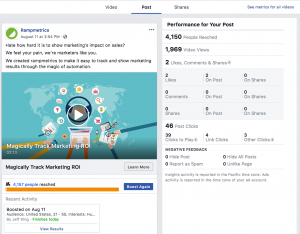 Of course, I couldn’t help myself from rambling on about how I had recently done some video advertising on Facebook and how I had created a custom audience using our email list and how great it was. But the record breaking heat was calling us back to pool so enough about marketing for now and back to vacation. Later that day, while stylishly avoiding the record breaking heat ;-), Sara starting cooking up some dinner for the restless troops and simultaneously checking her Facebook with the greatest of ease. I noticed her Facebook post had a little blue “Boost Post” button at the bottom. “What does is that button do?” I curiously asked. Sara said, “I just click it and it allows me to boost my post and create a custom audience”. She showed me how to boost in about a minute and how easy it was. Her post was a beautiful Instagram worthy photo of her custom made pottery line made by Black Oak Art. 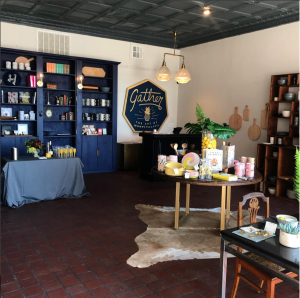 Sara’s custom audience consisted of people who are fans/followers/likers of other similar local businesses in the Waco area. She is friends many of with the other local business owners so there is a natural like mindedness already going on outside of Facebook. Right there in the kitchen it hit me, I realized in some ways my sister knows more about Digital Marketing than I do. So I started to investigate whether my “advertising approach” to Facebook advertising was possibly the “big company way” and my sister’s approach was the “small company way”. I wasn’t completely sure but I definitely thought doing digital advertising from your kitchen in one minute was very attractive compared to the amount of work that I had spent creating a custom audience, making an ad, etc.. I found the process of boosting to be super easy and actually fun. I’ve never really enjoyed paid advertising in the past because its such a pain to setup and manage. But the boosting experience was pretty great. – Don’t over complicate – Sara was asking how we could better tell if the Facebooking and Instagraming was directly leading to store traffic which she already knows it is but it can be hard to calculate. I told her that big box stores have cameras, automated door counters, in-store path analysis software and POS systems to analyze purchase trend lines. Sara’s gracious response to my “pigs to the rescue” idea, was I can just have our team keep track of the number of people that come through on paper so we can compare days when we boost vs. days when we don’t. I’ll keep carving on this post but definitely give boosting a try and let me know about your experience.